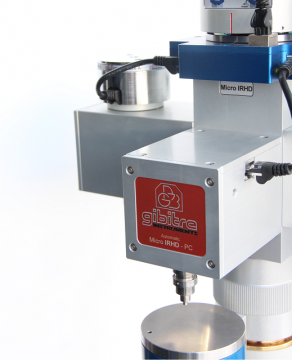 Up to 4 different Shore or IRHD hardness units can be installed on the instrument. The hardness unit to be used to carry out the automatic test can be easily selected by rotating the supqport. Multi-Unit Automatic hardness testing system has been designed for labs, which need to perform hardness tests according to different hardness scales. The hardness testing unit to be used must be placed in the front position by rotating the top part of the support. The rotating system permits to interchange the test unit within a few seconds. No dismounting or replacement of delicate parts and no specific training are required to perform with full safety this operation. This solid technical solution is ideal even in the case that the change of unit must be done many times in the same day. The solid construction of the instrument, the high quality sensors and the lifting system with ball screw makes it ideal both for research purposes and for heavy-duty production control. The instrument can be configured according to the needs of the customer: up to 4 units can be mounted on the same support. The support of the unit is configured for the further installation of units in case free positions are available. 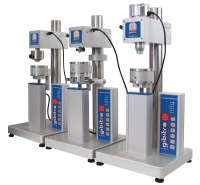 The Multi-Unit Hardness tester can be purchased with the unit that you need. Additional units can be added later to complete the maximum number of four. When you need to use a specific unit, you simply need to turn it to the front position. This operation does not require any delicate manipulation or any specific training. The control device of the instrument (display or software) will automatically switch to the selected unit. 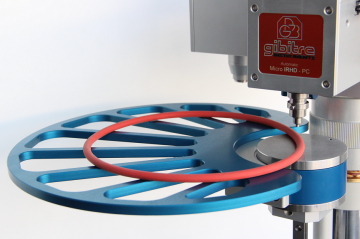 The device permits to perform automatic multiple tests on O-ring or round parts with external diameter up to 75 mm. The device consist of a diaphragm to fix the external diameter of the o-ring and of a gauge-meter for the adjustment of the position of the center of the diaphragm. 1)	Open the diaphragm and put the o-ring in the center of the device. 4)	Start a multiple test session to make automatically tests in different points of the sample. To test several o-rings with the same dimensions, you only need to replace the o-ring on the device without any further regulation. Extension of sample holder for Automatic Hardness tester with 300 mm diameter. The support, made of Aluminium, can be added to the standard sample holder to increase the bearing surface for the testing of big-size samples. 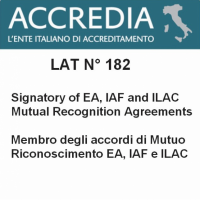 The instrument is available with ACCREDIA calibration certificate. 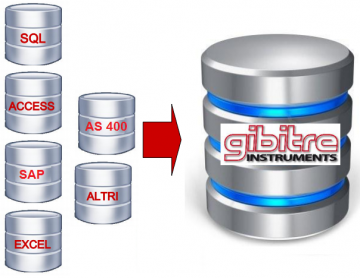 The certificate is issued by Gibitre ISO 17025 Accredited laboratory. The calibration is performed with reference to the requirements of ISO 48 standard. • Visual inspection of the Indentor. • Calibration of the Pre-Load, of the Main Load and of the weight of the Anular foot. 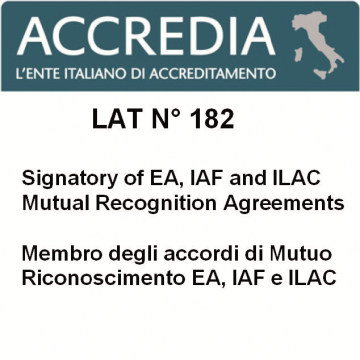 The calibration is performed with reference to the requirements of ISO 7619-1 standard. 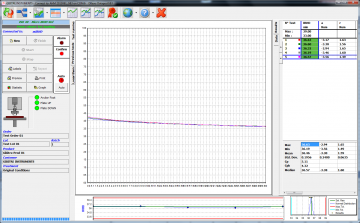 • Calibration of the total run of the indentor (readings at 0 and 100 Shore points). • Calibration of the displacement of the indentor and of the force applied by the indentor in correspondence with several Shore readings (20, 40, 50, 60, 80, 90 Shore). The main parts of the instrument are: the measuring unit, the sample displacement system and the electronic card. Those parts have been developed to permit quick and independent replacement in case of failure. This characteristic ensures short recovery time and low maintenance cost. 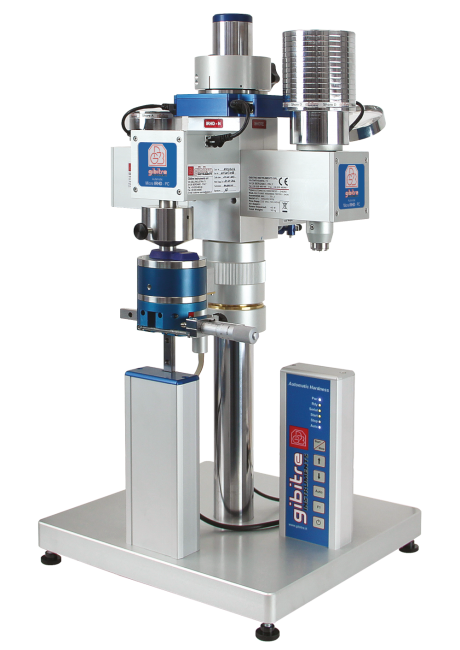 Multi-Unit hardness tester with automatic sample displacement. 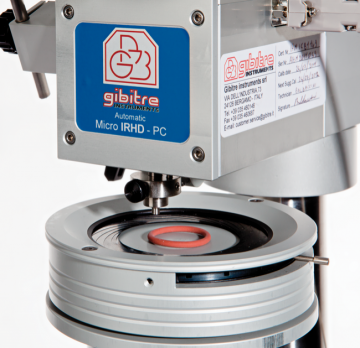 Up to 4 different Shore or IRHD hardness units can be installed on the instrument. The hardness unit to be used to carry out the automatic test can be easily selected by rotating the support.